After suffering a brain injury, Jane McGonigal came up with a game to help aid her recovery and battle the ensuing depression she experienced. Half a million people have now played this game to astonishing results: depression gone in 6 weeks in some cases and even terminal cancer patients reporting that playing the game gives them a sense of control over their own health. The book shows readers how to use these techniques to find strength and create positivity: readers can look to their own 'power-ups' which are little things they can do to feel better and tackle the hurdles in their own lives. This book provides simple step-by-step ideas that can be carried out in day-to-day life, helping you transform your life with a new flexible and reenergised mindset. 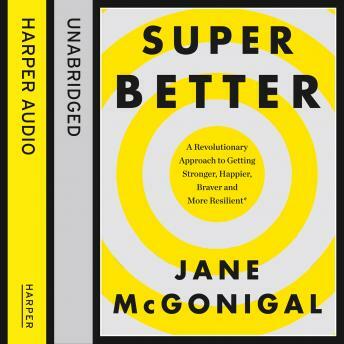 In this book McGonigal uses her own story and those of others to expertly demonstrate how simple changes can result in dramatic life-affirming effects. And what's more, she tells you how you yourself can lead a more "gameful" life.